Like the song says – Gimme a T for Turtle and a T for Tokyo! It’s TTT – Tokyo Turtle Time ) with a tip of the hat to our friend Tennessee Tuxedo). 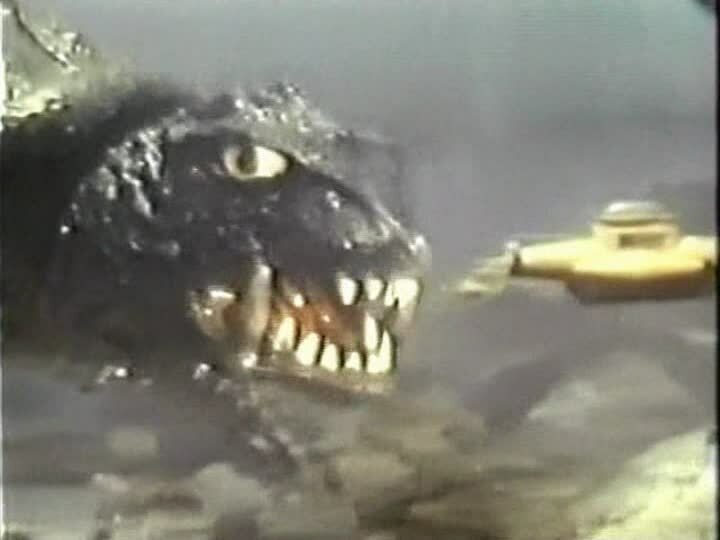 Join UNCLE PETE this week in THE DARK VAULT OF PUBLIC DOMAIN as he brings you the 1968 giant monster epic Destroy All Planets starring that city leveling, kid loving turtle – Gamera! There was a time in the not so distant past when most Earthlings weren’t too happy with Gamera and shuttled him off to Mars with few regrets. But Gamera’s comin’ home and along the way beats up on some aliens who have designs on taking over Earth (seems they like the air down there). Meanwhile, Scoutmaster Mr. Shimida (Kojiro Hongo) has taken his troop to visit Dr. Dobie (Peter Williams) to watch a demonstration of their latest hi-tech mini-submarine. Unbeknownst to the adults, mischievous (and scientifically savvy) scouts Masao (Toru Takatsuka) and Jim (Carl Craig) have tinkered with the sub’s controls so only they can pilot it properly as they demonstrate. They meet good buddy Gamera while underwater but all three are captured by the aliens and Gamera is retrofitted with a mind control gimmick while the boys are held at alien central. When the boys help release Gamera, the aliens counter with their own giant beastie – Viras (no relation to last weeks feature presentation). Directed by Noriaki Yuasa, this film includes a lengthy Gamera mind-scan sequence that takes us back through some highlights of prior Gamera versus big bad monsters battles. Released in 1968, the Summer Of Love, this movie is also known as Gamera vs. Viras. And speaking of the Summer Of Love, UNCLE PETE does some fond reminiscing and has his own flashback sequence of when his popular TV music program Rock-A-Rama was cancelled and the call went out from the Land Of The Rising Sun Radioland to come on over and grace the airwaves with your dulcid tones (or something like that). 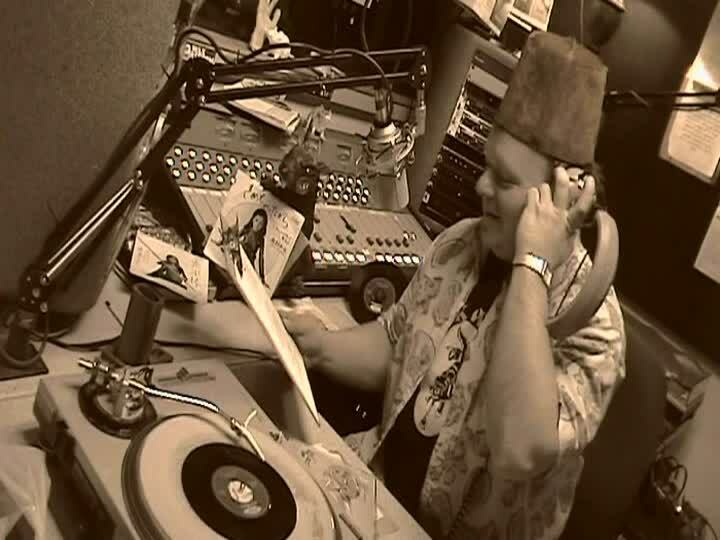 UNCLE PETE also has a bunch of cool and obscure (what else) music videos for you and some rare footage of UNCLE PETE on the radio in Japan! So join the multimedia guy himself, UNCLE PETE, this Saturday, April 14, 2012 at 10PM on channel 4 for Destroy All Planets on the next DARK VAULT OF PUBLIC DOMAIN! ~ by UNCLE PETE on April 13, 2012.